Snead Island. 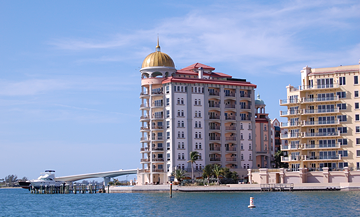 The island is conveniently located south of St Petersburg/Tampa and north of Sarasota. Snead Island is a small island 3.5 to 2.5 miles long and has approximately 500 homes. The island represents an old Florida living with horses, cows, gators, turtles and other wildlife. Fisherman & Boaters Paradise! Feel like you are on vacation year-round. Easy access to Terra Ceia, Tampa Bay & Gulf waters. Launch your boat with your own private boat ramp or keep your boats on your 2 lifts and 2 boat slips. The backyard is awesome for relaxation or entertaining. Enjoy your two 58 ft decks and waterfront facing the pool. Take a dip in your pool and enjoy the natural wildlife right from your covered dock, the manatees and dolphins visit frequently. This waterfront home with an open concept has room for everyone! 3 suite bedrooms plus 2 living rooms. House is over 2800 sf, great for all your family & friends gathering and enjoy watching incredible sunsets right from your backyard or your living room. In addition to all amenities – this home has more to offer: Video security system, 16 x 20 ft greenhouse, fenced yard and security gate. Snead Island Emerson Point Preserve is nearby on the west end of the island and offers hiking & kayak trails, bicycling & observation tower. 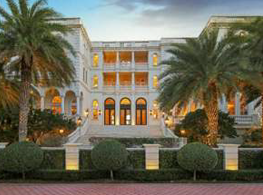 The Old Florida living does not get any better than this.